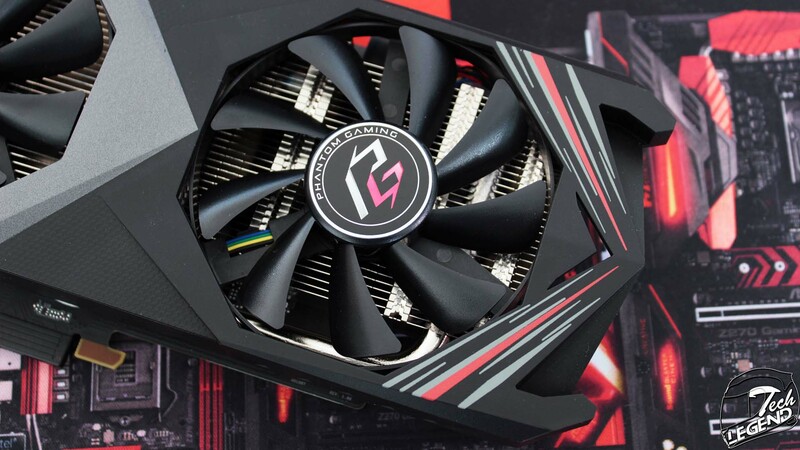 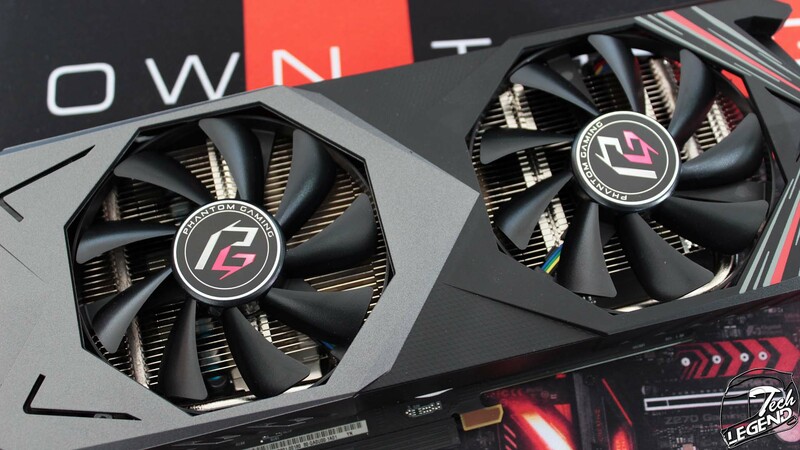 The ASRock RX 590 Phantom Gaming X OC shares numerous design elements from the RX 580 PG model, including the shape of the cooling system shroud and the two fans. 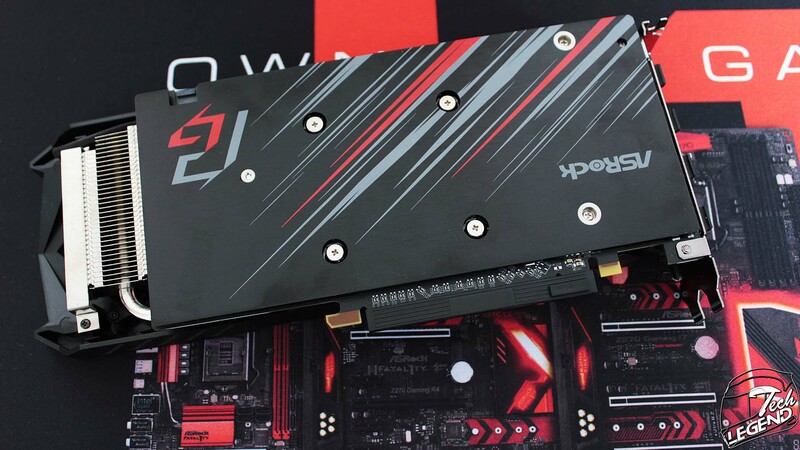 The graphics card is also using a backplate to protect the back side of the PCB and also to add more depth to the overall design. 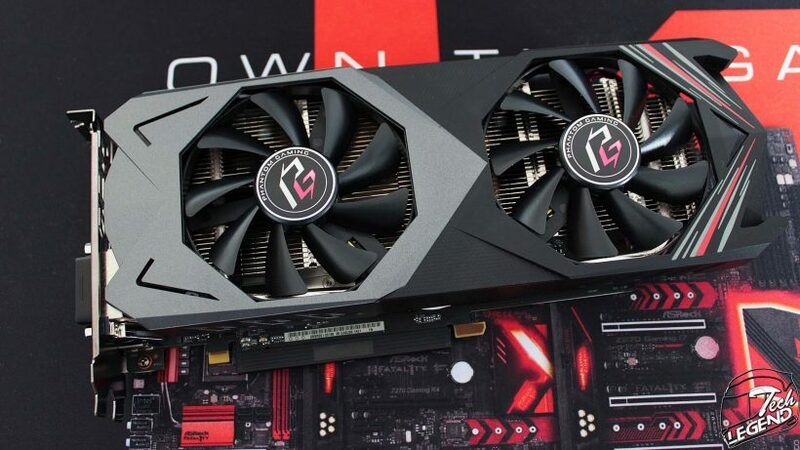 The PG X OC edition is already overclocked to 1591 MHz for the core clock and 8032 MHz for the memory. 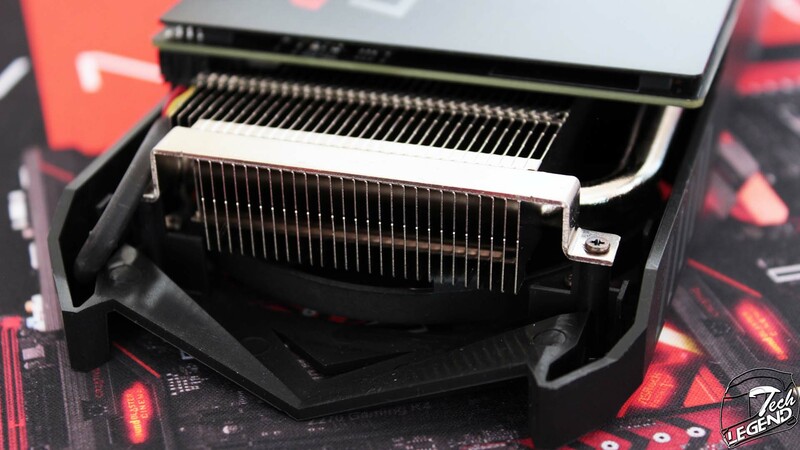 In terms of overall dimensions, the graphic card measures 278mm in length, 126mm in height and has a thickness of 42mm. 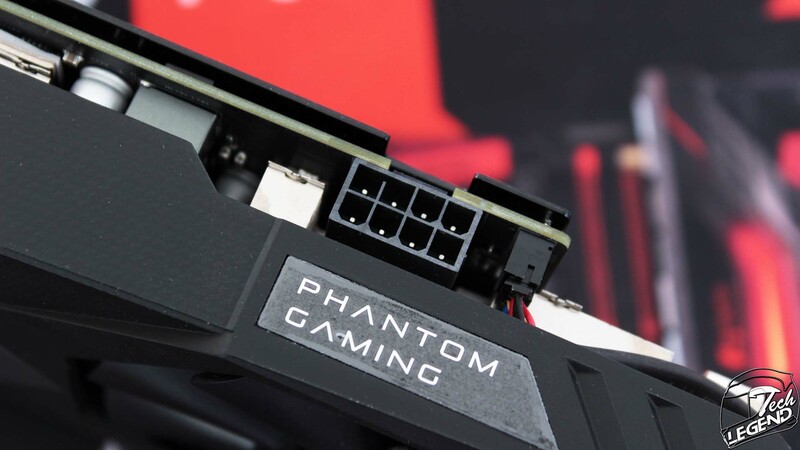 The cooling system used on the RX590 Phantom Gaming X OC is a dual slot and dual fan design. 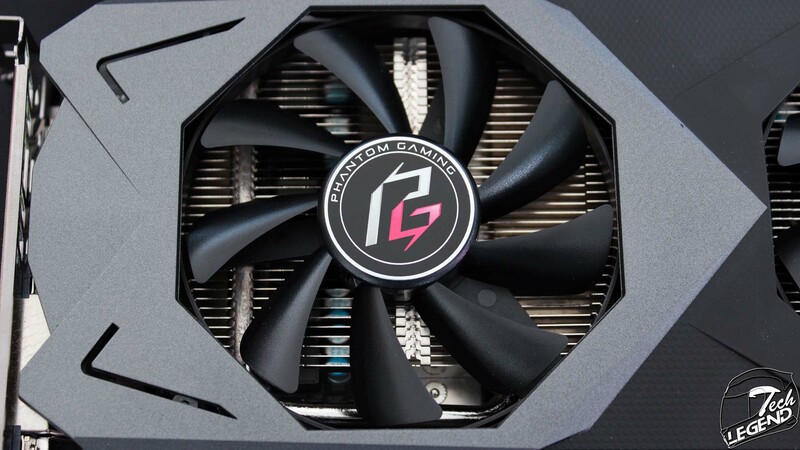 The active cooling is done by two 90mm fans that use a 3-Phase Motor Fan with Double Ball Bearings for better reliability. 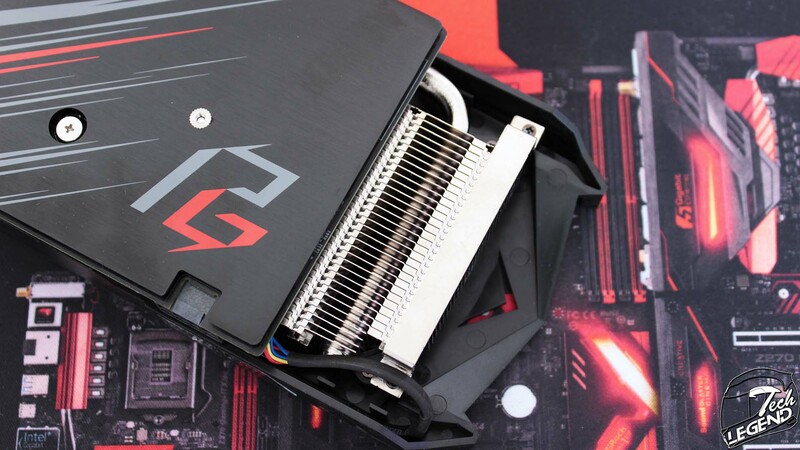 The heatsink is made from aluminum and features a copper core that makes contact with the GPU die. 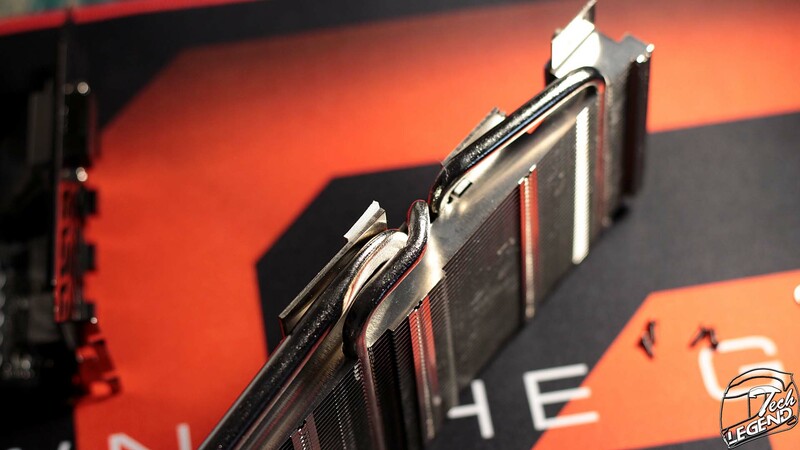 The heat is dissipated by three heatpipes that are spread across the cooler. 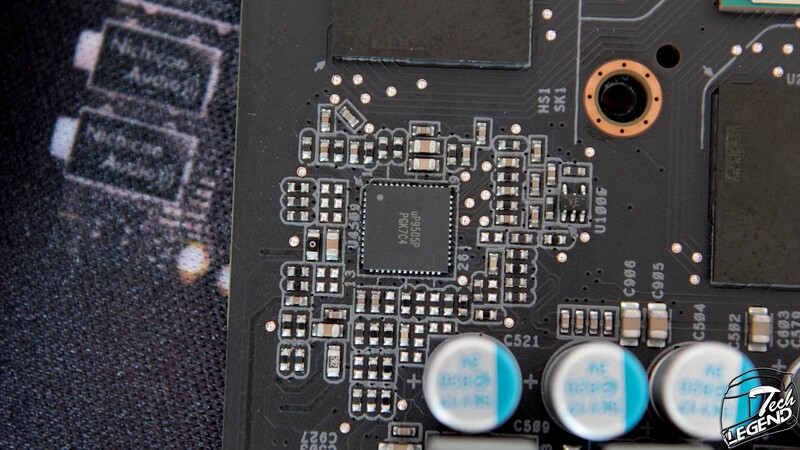 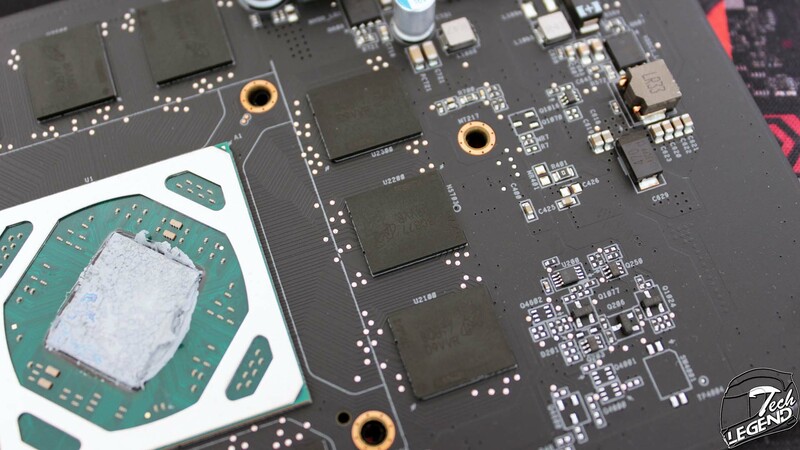 The back side of the graphics card is covered by a metallic backplate, the contact between the PCB and the backplate is made one the back of the GPU core through a pad, smaller pads are glued around the edges to keep the backplate straight. 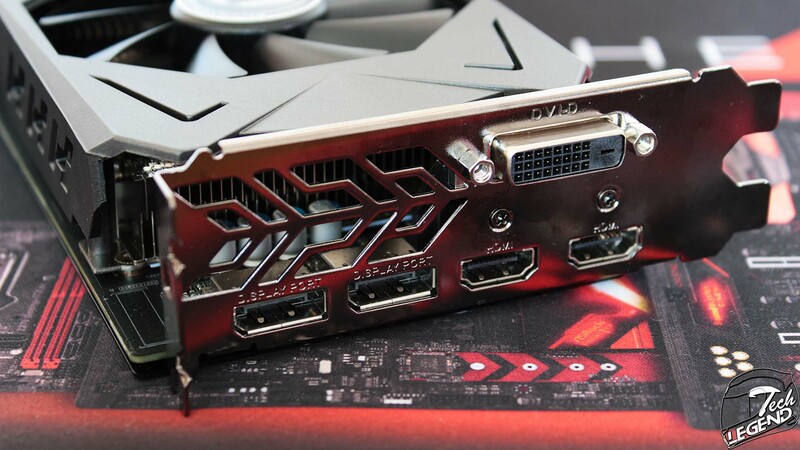 The Power delivery on the RX590 Phantom Gaming X OC is done through a single 8-Pin PCI-Express power connector, it is positioned on the right corner of the graphics card with the retaining clip facing up. 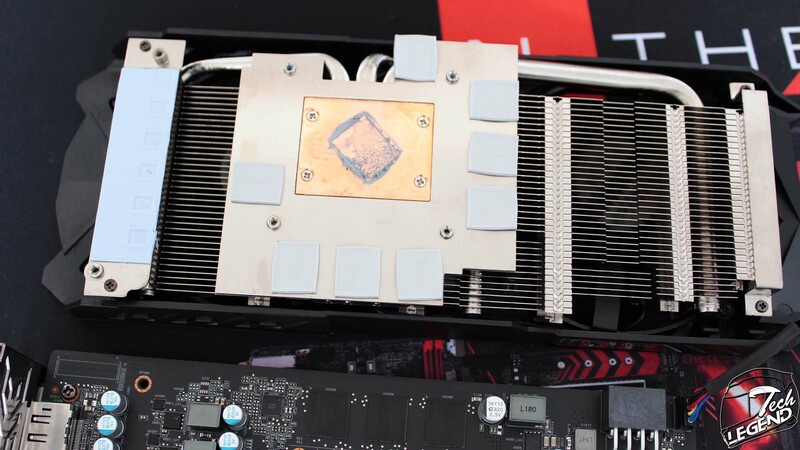 The heatsink is attached to the PCB by just 6 screws and the fan shroud and fan assembly are attached by only four screws. 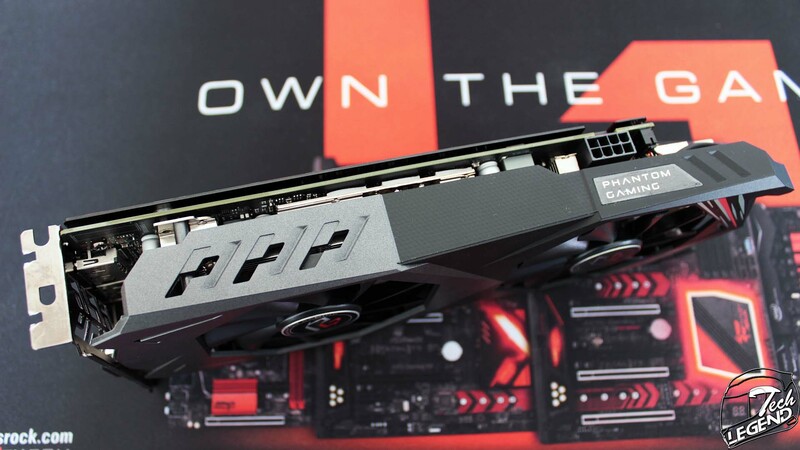 This makes the RX 590 PG easy to disassemble and clean. 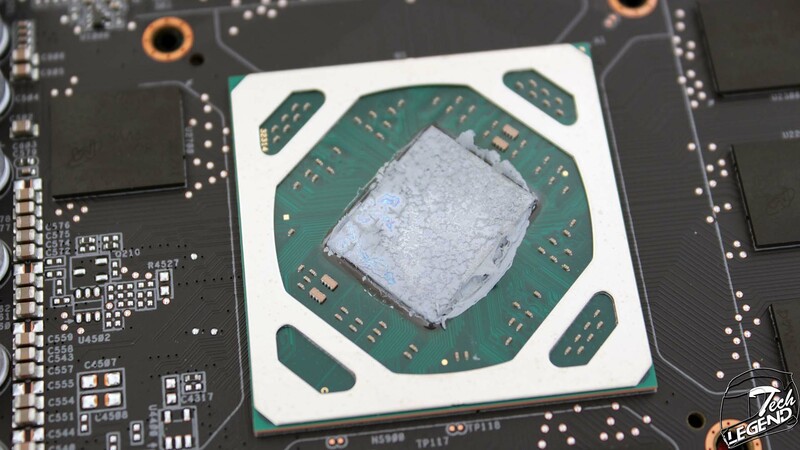 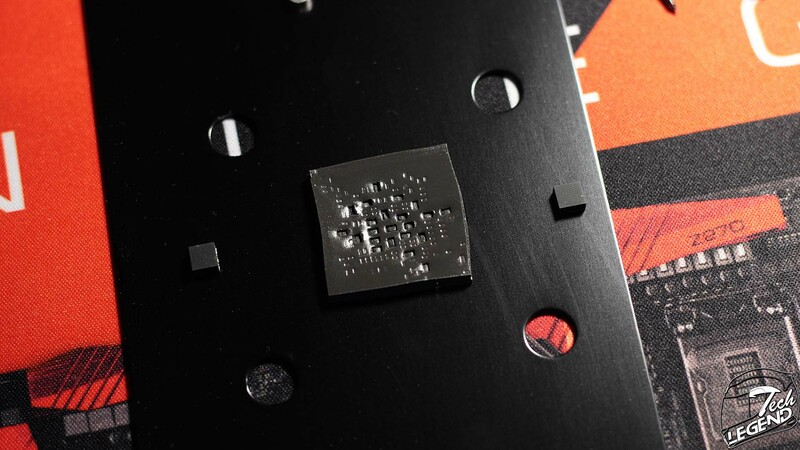 The heatsink makes contact with the GPU chip die surface through a layer of thermal compound while he memory chips and the power delivery system make contact through thermal pads. 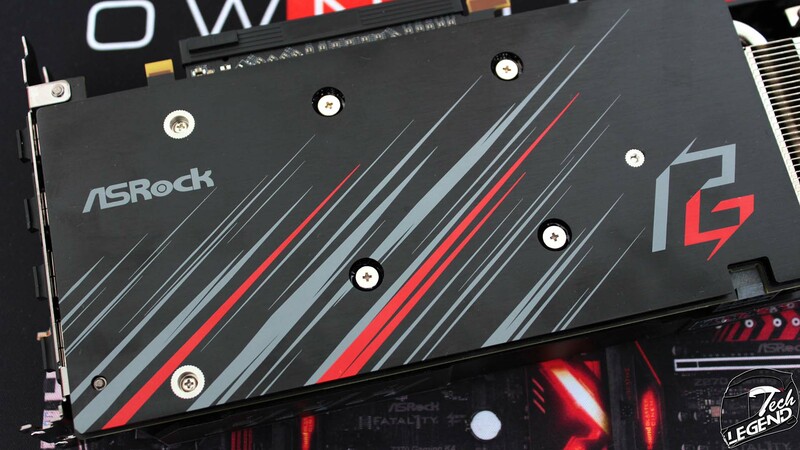 The ASRock RX590 Phantom Gaming X OC uses a similar layout and components as the ASRock RX 580 PG model. 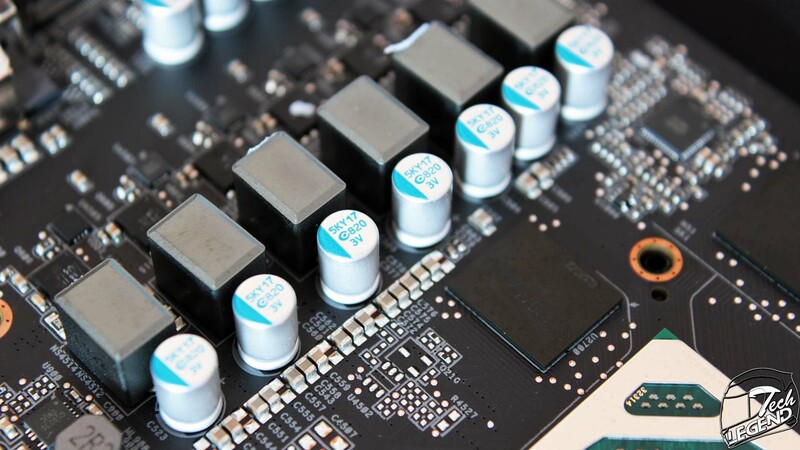 The six-phase power delivery system uses MOSFETs made by SINOPOWER. 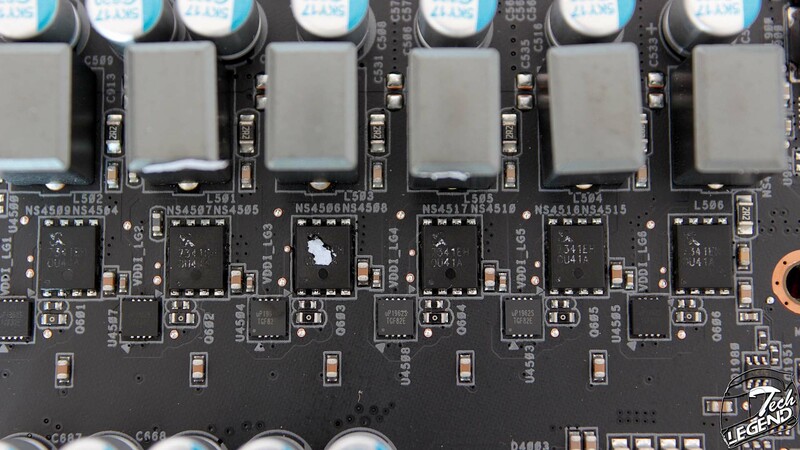 Controlling the voltage regulation is done by a single uP9505P controller. 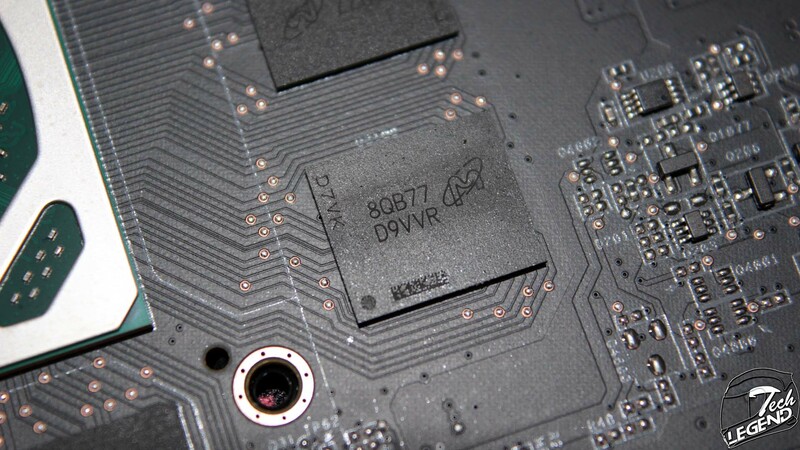 The memory chips used for the ASRock RX 590 are made by Micron with the model number MT51J256M32HF-80:B.